OTTAWA — Prime Minister Justin Trudeau issued a statement congratulating Andres Manuel Lopez Obrador on his victory in Mexico's presidential election and immediately zeroed in on the ongoing efforts to renegotiate NAFTA. In the statement, Trudeau highlighted Canada's close ties with Mexico and promoted the trade relationship, highlighting the NAFTA talks. "Canada and Mexico are close friends and longtime partners. We share common goals, strong people to people ties, and a mutually beneficial trading relationship that is the envy of the world — reflected in our joint effort to update the North American Free Trade Agreement for the 21st century," Trudeau said. Donald Trump has also congratulated Lopez Obrador on winning the presidency, however the U.S. president has said he intends to hold off on signing a new NAFTA deal until after America's fall midterm elections. A leftist, Lopez Obrador has promised Mexicans that profound change is coming to the country, but says individual and property rights will be guaranteed and the autonomy of the Bank of Mexico will be respected. After the election, Lopez Obrador said he supports reaching a deal to renegotiate NAFTA, saying he'll propose that his own team of experts be included in the talks. The winning candidate said he will make that proposal in a meeting Tuesday with current President Enrique Pena Nieto. Lopez Obrador told the Televisa network Monday that he will respect the current team of negotiators, and let them continue representing Mexico until he takes office Dec. 1, noting that he wants to have information on what's being discussed and "to help as much as we can. 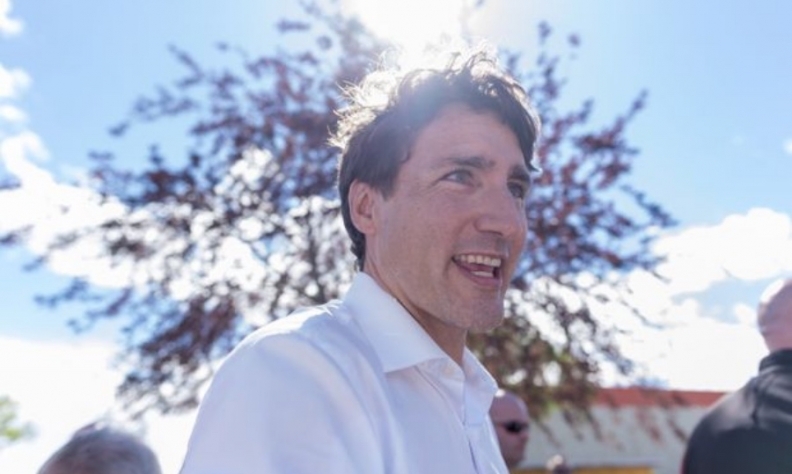 Trudeau had been working closely with outgoing Mexican President Enrique Pena Nieto on the NAFTA negotiations and spoke with him about the deal on Friday ahead of the elections. During this conversation they "reaffirmed the close friendship" and agreed to continue working toward a mutually beneficial outcome, according to a statement from Trudeau's office issued on Saturday. The prime minister agreed to stay in touch with the outgoing Mexican president, and said Monday he will hopes to work closely with the country's new president to "build on the vibrant partnership between our two countries."